Upon reading this article myself, I had great concerns that the article was written from a place of firm bias, especially against chiropractors. My immediate concern was that individuals looking for help to recover from concussion injuries may feel an immediate sense of distrust to private clinics, feeling their efforts and resources will be wasted. As a chiropractor that has received additional training in concussion management (from Shift Concussion Management), I feel the need to better explain the items lacking, or presented negatively in Kelley Crowe’s CBC article, both from the perspective of public education and concussion awareness, but also from the perspective of the health care consumer. It wasn’t long ago that concussions were merely thought to be an injury that people simply needed to ‘walk off,’ and move on with the day. The symptoms would go away and not interfere with athletic, academic or occupational performance. This ‘tough guy’ mentality is no longer adhered to, however as most concussions (80-90%) resolve in 7-10 days with limited ongoing disability, were still overlooked. This understanding changed drastically in public understanding with Sydney Crosby, as his injury sidelined his very promising career and had fans holding their breath for his return. Through Crosby, the world was able to more readily observe and empathize the pain, frustration and lack of understanding that exists for a person suffering from a concussion. The lesson we learned was that some concussion injuries can last much longer than a week, can have significant disabling effects for a person, that when not assessed and addressed properly in the early phase can leave a person susceptible to more significant subsequent injury. While the last few years has seen an increase in publicly funded, medically run concussion therapy clinics, the majority of concussion rehab and assessment is currently offered through private clinics, operated by chiropractors and physiotherapists (a provider group completely absent from Crowe’s article). Unfortunately, as the CBC article presents a ‘wild west’ perspective on the subject, the reader immediately casts doubt on the assessment and therapy services, skill and even intention of these private clinics, as there is ‘no medical doctor on staff,’ or that there is no governance or regulation other than self regulation. While both of those statements are true, they do not present deficiency in the care and assessment offer to patients. As a society, we expect that our physicians will know everything about everything. Unfortunately, this is not always the case, as the average family physician will have limited training on concussion therapy and the therapies they are exposed to are most likely to be pharmaceutical. The reality is that medical school has a large amount of curriculum to follow, and the management of life threatening conditions and chronic degenerative diseases are prioritized, while there are fewer content hours focussed on things like concussions, MSK injuries or nutrition. This is NOT a fault, as a society we want our physicians to be highly trained and skilled in these fields. In Crowe’s article, she refers to chiropractor Dr. Cam Marshall (President of Complete Concussion Management) who states ‘that doctors don’t receive enough training in concussions. He offers a 32-hour online training course…’ This 32 hour course is far more exposure to current research on assessment and concussion management than medical school could offer, and offered by a profession leader. (Dr. Marshall is a Fellow of the Royal College of Chiropractic Sports Sciences, a published author and leader in the field of concussion rehabilitation). In addition, a course such as this is not inferior in terms of content or duration to any continuing education on concussion that a physician, or any other regulated provider would recieve. My point here is to identify that just because someone is a medical doctor does not mean they are more equipped to manage a concussion than a non medical doctor, such as a chiropractor. Most importantly however, is that a patients medical doctor should always be involved in concussion management, they should always be aware that an injury has occurred and aware of the management options another provider is offering. This collaborative effort helps to ensure the best outcome for patients, reduce wait times for referrals when needed and maximize the understanding of care between healthcare providers as well as the patient. Crowe’s article also repeatedly highlighted the concept of regulation, insinuating that private clinics are not supervised by any regulatory board and therefore of ‘concern.’ However, Crowe misses the mark when she diminishes self regulation of healthcare providers in Canada and presents the picture than physicians and neurologists and the treatments they offer are regulated in a different fashion. The truth is that providers such as chiropractors, massage therapists and physiotherapists are self-regulated in Canada, in the exact same manner as physicians. This means that an overseeing body sets rules and protocols in place regarding treatment practices, professionalism and makes efforts to protect the public. When a risk to the public is perceived, the College (regulatory body) can step in to investigate and elicit discipline if needed. In this sense, chiropractors are governed in the same manner as physicians. Another item that comes forward in this article stems from the anecdotes share by the interviewed neurologists of patients presenting with concussions that are actually suffering from more serious underlying disorders. 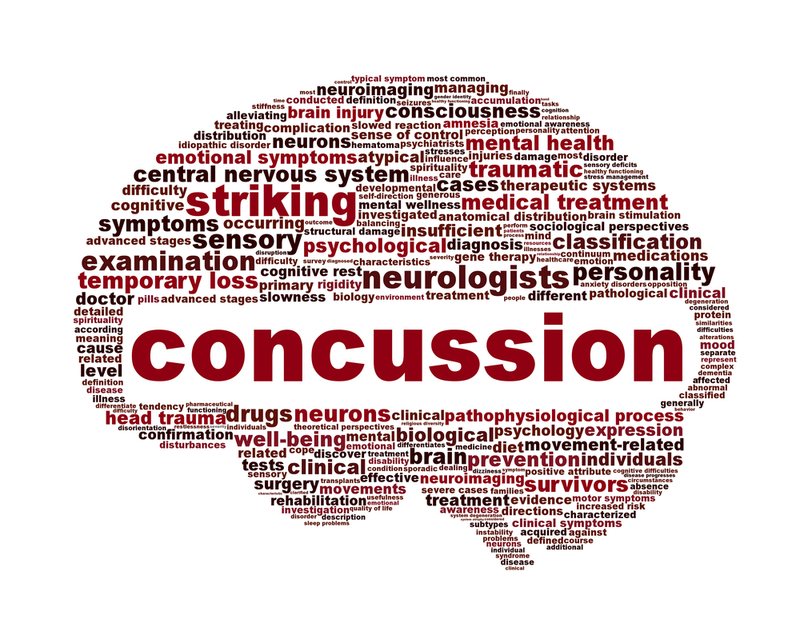 These are conditions that chiropractors or other providers offering concussion management will screen for as well. In my own practice for example, when I encounter any health disorder or injury that is (or possibly might be) outside of my scope of practice or skill to treat, I refer immediately to the most appropriate provider. And again, I keep the family physician informed so that they area aware of current treatments and prognosis. It is also important to remind the reader that whenever a medical specialist is assessing a patient for a condition that was also treated by a chiropractor, it can be easy to assume that ‘chiropractic’ is not effective. However, the reality is that the specialist never sees the cases where chiropractic treatment did work, and the cases they do see would have had the same outcome regardless of the initiating provider of care. In conclusion, I always think it is important for patients and the public to ask questions about their healthcare and the providers offering that care. I also feel those questions should be asked and answered fairly by the media as well. Unfortunately Kelly Crowe failed to do so in this article and may have cast doubt for the public in terms of how concussions are assessed and managed in private clinics. From my own perspective as a healthcare provider, I have always held the mission that my principle job in practice is to do what is best for the patient and to keep myself educated and current to do so. Additional training on concussion management was no different. Not only was I confident in the training that I received, but also in the quality of care I am able to provide as a result.